Goodness Gracious! The never ending Siggy Flicker Vinnie Spina Scandal just keeps getting more and more bizarre! 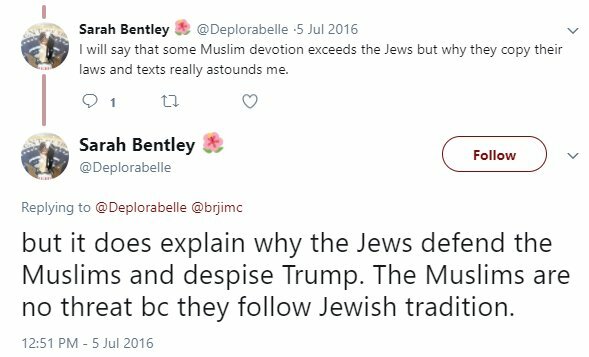 The latest development is that infamous Obama Birther and Anti-Semite, Zapem, is the newest member of Team Siggy using an account called @Deplorabelle! 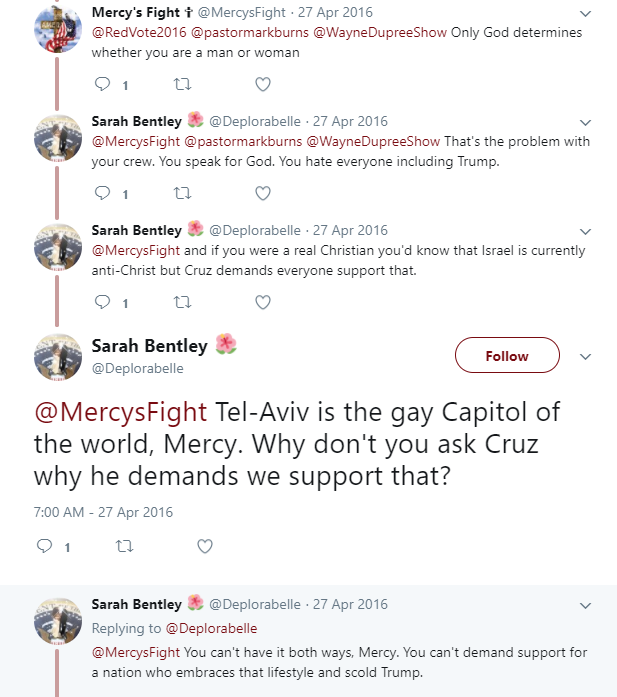 We captured just a few of Deplorabelle's anti-Semitic tweets and posted them down below the break. 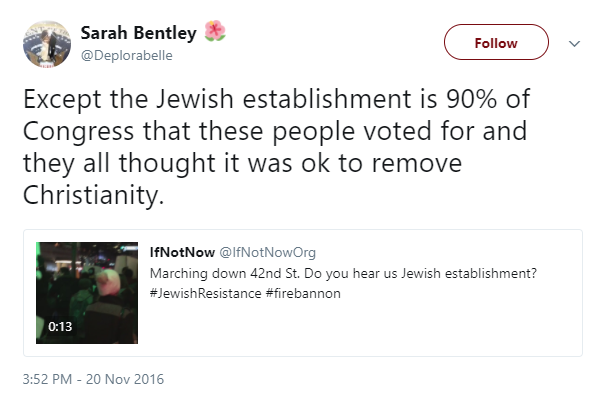 She doesn't actually hate Jews, she just thinks they aren't real Jews. Yes! Imposter Jews! She's also anti Transgender and anti Gay. 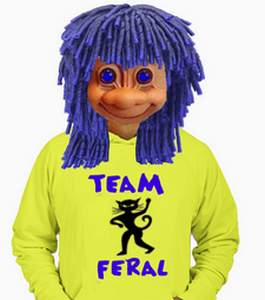 Zapem aka Deplorabelle is an old nemesis of IronTroll. Her name is Joanne Joy, she lives in Clark, New Jersey where she's married to a retired cop. Joanne is a far right almost-falling-over-the-edge Conservative addicted to World Of Warcraft and creating political intrigue on Twitter. She's also one of my biggest Alt-Fans in the history of Alt-Fans! I hadn't seen Joanne since back when this blog was called opuniteblue and she filed a DMCA complaint because I did a post that had an email between her and Andrew Breitbart. That's the email in this post here where she lays out her sinister and diabolical plans to "infiltrate Anonymous", get Anonymous members arrested by the FBI, and then blame the arrests on the Left so Anonymous would retaliate by "destroying the Left". Wow! Isn't that like the dumbest plan you've ever heard? I'm pretty sure she filed the DMCA complaint because she was totally mortified that people would read it and realize what a dope she is. Joanne's plan never came to fruition though since Breitbart dropped dead the next day. Boy, Anonymous and the Left have no idea how close they came to becoming extinct! Anyway, we challenged the DMCA complaint and won. Then did an article called The Surreal Housewife exposing Joanne and her husband for violating New Jersey rules for running a private investigation business. After that there was a flame war on the Ripoff Report which was hilariously funny but after that we never heard from Joanne again. 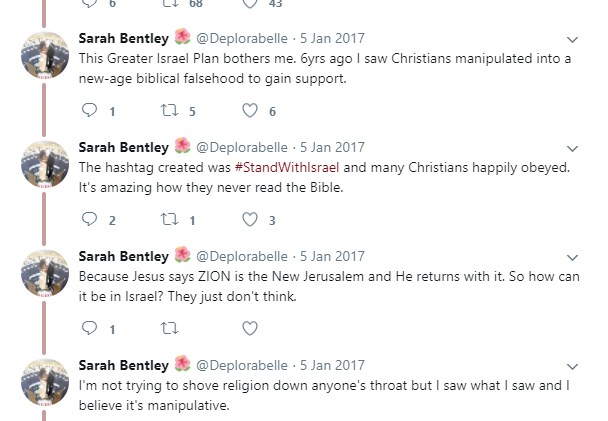 Until lo and behold, Joanne Joy reappeared in January of this year, hanging with Team Siggy, using the name @Deplorabelle, chatting away with A1_Buckwheat and Siggy. Let me assure you, Joanne Joy hatching up revenge plans with Siggy Flicker and Vinnie Spina is a whole lot of crazy in one place! Here are a few highlights from Joanne's Twitter career. Joanne first gained notoriety as Zapem during Obama's presidential campaign when she claimed to be a "team of college students" that discovered papers written by a founding father proved Obama was not a "naturalized citizen". Twittergate. 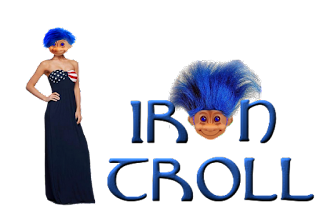 A group of trolls called the Bean Dogs trolled Conservatives trying to elicit emotional responses. Somebody else screen captured those rage tweets and posted them publicly for people to laugh at. 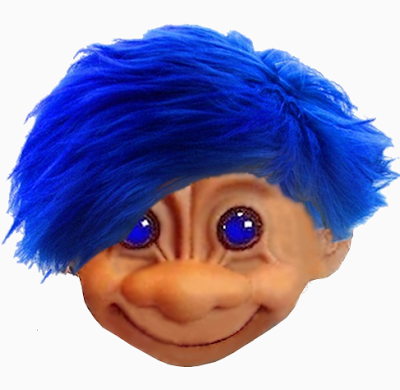 Joanne created a dossier accusing Neal Rauhauser of masterminding the whole thing., like he invented trolling. Zandali was a forum created by Joanne where she collected information on Neal Rauhauser for the purpose of getting him arrested by the FBI. The FBI got so tired of Joanne and her buddy Sanguinarious calling him that he refused to take their calls. Joanne Joy and Neal Rauhauser harassed each other for years, playing a tedious game of cat and mouse. Neal kept doxing Joanne as the wrong person and Joanne kept trying to get Neal arrested with contrived allegations. The recording below was made to Brooks Bayne. Joanne actually did work for law enforcement but she was a clerk for the police department. She filed several warrants against Neal Rauhauser and then posted them online. Unfortunately Joanne forgot to crop out the name of the city clerk who printed the warrants out. That clerk had retired several years before so someone illegally used her password to print the warrants. Oops! 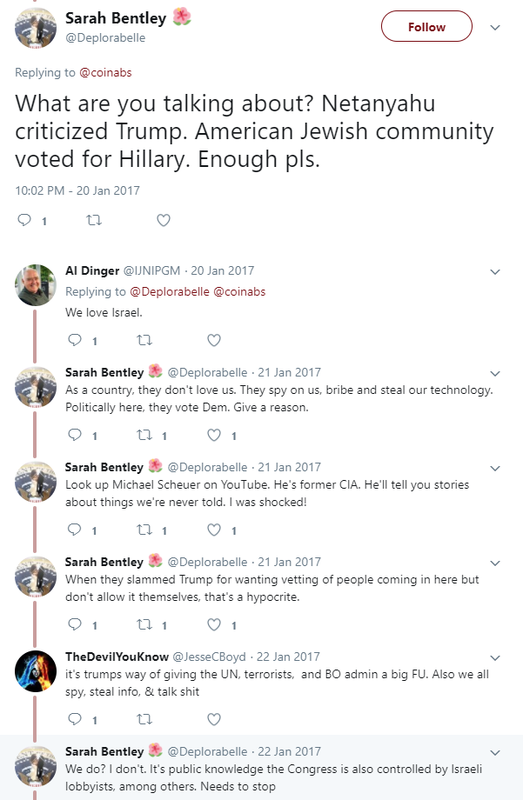 Below the break you'll find some tweets by Deplorabelle. Yes! 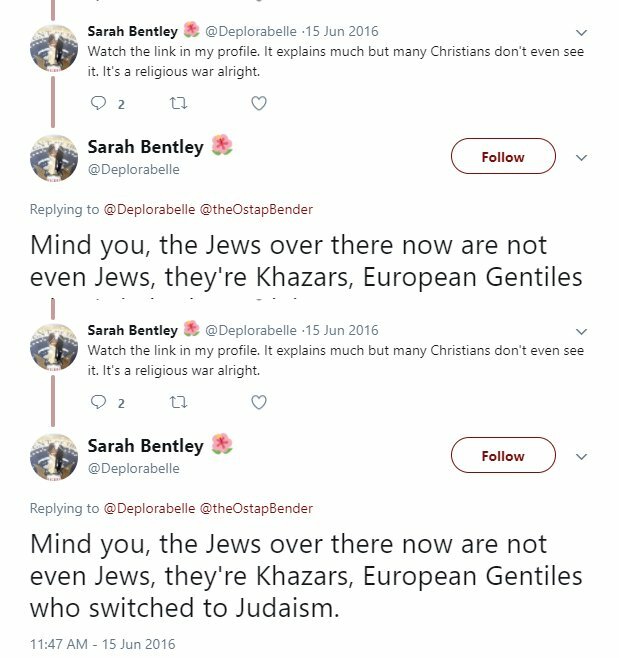 Siggy's new friend is anti-Semitic. Incredibly so.